Use this form to send us a message. Inquire about courses, availability, group bookings, or give feedback. We look forward to hearing from you! 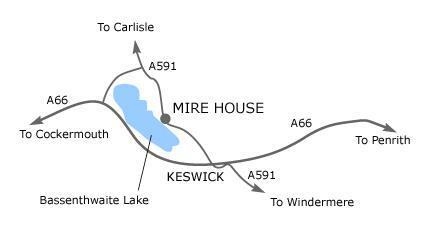 Mirehouse is four miles from Keswick, Cumbria. Turn into Mirehouse grounds from the A591, traveling North turn left, traveling South turn right. It is opposite the sawmill tearooms. For satnavs, the postcode is CA12 4QE . When in the grounds, follow the Food & Company signs, turning left down the back drive. A dedicated parking area is found after a sharp left, turn at the end of the drive. Entrance to Food & Company is through the arched doorway.